"A friendly, efficient and most importantly, thouroughly reliable service"
"It's not just the unique and truly bespoke service they provide that works for us, it's our ability to trust them implicitly that the boats will arrive perfect and on time"
"If you love driving hundreds of miles across the continent on the wrong side of the road, staying awake on a diet of Pro Plus and Coca Cola, being stopped and given speeding tickets by foreign traffic cops, don't use Sailboat Deliveries to get your boat to a regatta. Who'd want to miss that adventure? But if all you want to do is jump on a plane, get to the venue and find your boat waiting for you in the boatpark, Team Sailboat are the people. I've used Sailboat Deliveries loads of times to get to Garda and other places around Europe, and they get it right every time. 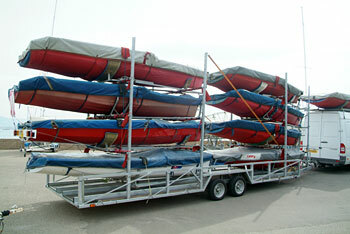 If your holiday time is precious to you, then get Sailboat Deliveries to do the heavy lifting while you just fly and sail." 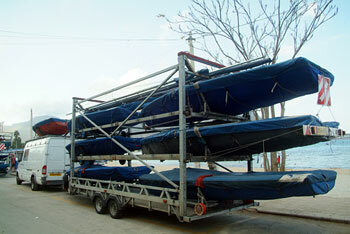 Sailboat Deliveries is a limited company and a member of the Road Haulage Association (RHA). We have commercial vehicle insurance with goods in transit cover and operate under RHA guidelines. 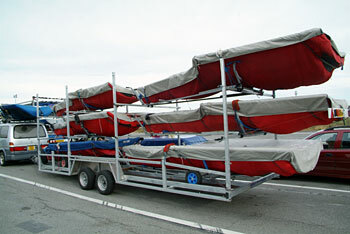 We also deliver marine products throughout the UK and Europe as well as racing dinghies and keel boats to European events. 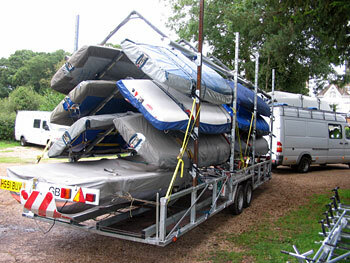 We have a variety of vehicles and trailers to suit many different types of boats and boating equipment. 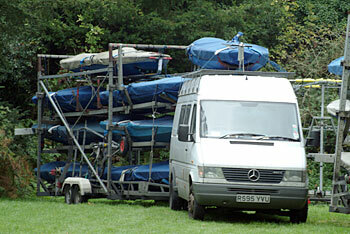 We can deliver large or small masts of varying quantities. 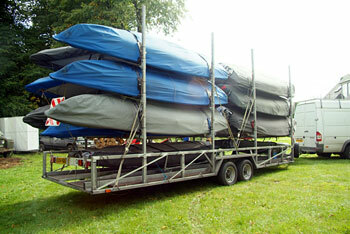 We frequently travel up and down the country as well as through Europe so small orders can be combined. We have an extensive knowledge of competative sailing and are able to give a full professional service when handing over boats and rigging on your behalf.